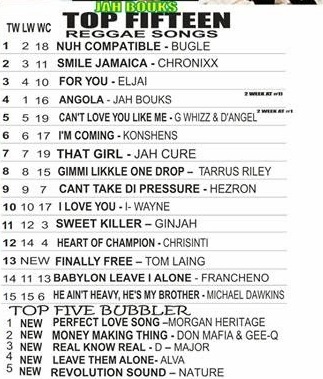 This week in the Stampede’s Streets Charts: Chrisinti featuring as reggae artiste of the week. G7 featuring as new artiste to watch. Voltage features as new dancehall artiste to watch, while Bugle takes the no.1 reggae spot with the hit single ‘Nuh Compatible’. 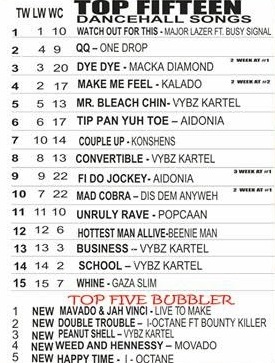 Major Laser is still on top of the dancehall top fifteen with the hit single ‘Watch Out For This’ featuring Busy Signal. Check out the full listings below.